Cliven Bundy, the Nevada rancher who has become the pivot-point in armed antigovernment activism in the West, was arrested Wednesday evening after flying to Portland to take control of the occupation of a wildlife refuge where four remaining occupiers were set to surrender Thursday. 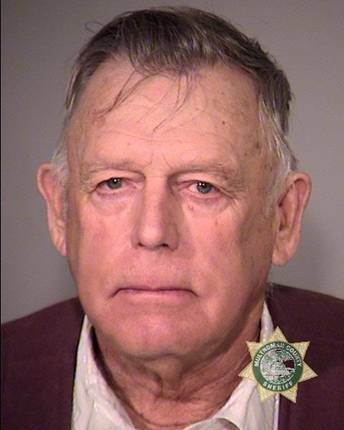 The FBI arrested Bundy, 74, at Portland International Airport on federal charges related to the April 2014 standoff at his Bunkerville, Nev., ranch. where assorted armed militia and antigovernment patriots pointed firearms at federal agents. There were no arrests immediately after that standoff two years ago, leading to the widespread belief that the inaction by federal authorities emboldened the Bundy clan and its militia-fueled followers, eventually becoming the catalyst for the occupation of the Malheur National Wildlife Refuge near Burns, Ore., that began Jan. 2. The 2014 standoff began when federal authorities began rounding up Bundy’s cattle because he had not paid more than $1 million in grazing fees –– fees he still owes the U.S. Government. Cliven Bundy faces a federal charge, filed in the District of Nevada, of conspiracy to impede officers of the United States –– the same charge contained in an indictment filed in Oregon against two of his sons, Ammon and Ryan, for their roles in the takeover of the wildlife refuge. Fourteen other defendants, including the last four holdouts at the refuge, were indicted on Feb. 4 in the District of Oregon on the same conspiracy charge. Most of them remain in the Multnomah County Jail in Portland, where records show Cliven Bundy was booked at 10:54 p.m. Wednesday. His arrest came as the FBI, including members of its elite Hostage Rescue Team, further tightened their perimeter around the refuge where the four occupiers remain. They have been identified as Sean Anderson ,48, and his wife, Sandra Lynn Pfeifer Anderson, 47, both of Riggins, Idaho; David Lee Fry, 27, of Blanchester, Ohio; and Jeff Wayne Banta, 46, of Elko, Nev.
After a screaming encounter with FBI agents on Wednesday, broadcast live on an Internet stream, the holdouts promised to walk out at daybreak Thursday. During a live stream of a phone conversation, the occupiers said they would surrender at 8 a.m. (PDT) Thursday if escorted out by Nevada politician Michele Fiore and evangelist Franklin Graham, the son of the Rev. Billy Graham. No shots were fired by either side. "I have been talking with the last four holdouts at the Malheur National Wildlife Reguge every day by phone for the last week at their request and at the request of the FBI. Last night I was on the phone with them for several hours, was able to have prayer with them and they have said they would come out today. I am on my way there ..." Graham said in a Twitter statement at 5 a.m.
“At this time, the FBI has moved to contain the remaining occupiers by placing agents at barricades both immediately ahead of and behind the area where the occupiers are camping. Negotiations between the occupiers and the FBI continue,” the statement said. “It has never been the FBI's desire to engage these armed occupiers in any way other than through dialogue, and to that end, the FBI has negotiated with patience and restraint in an effort to resolve the situation peacefully,” said Greg Bretzing, Special Agent in Charge of the FBI in Oregon. “However, we reached a point [Wednesday] where it became necessary to take action in a way that best ensured the safety of those on the refuge, the law enforcement officers who are on scene, and the people of Harney County who live and work in this area," said Greg Bretzing, Special Agent in Charge of the FBI in Oregon. 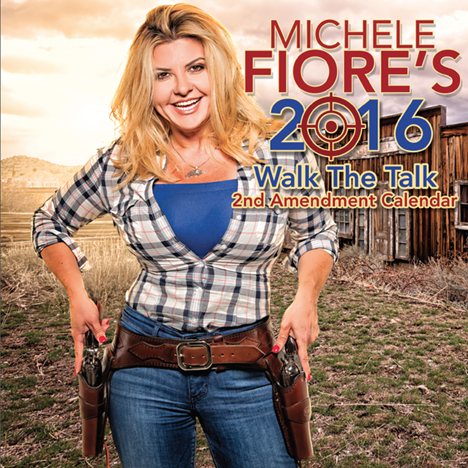 Nevada state legislator Michele Fiore, a vocal gun rights advocate and Bundy family supporter who’s now running for Congress, spoke to the remaining occupiers by phone after arriving in Portland on Wednesday. There were reports she intended to travel to the refuge and attempt to assist with the surrenders of the remaining occupiers.